The Epson C3500 colour label printer allows you to easily customise and print your own colour labels. Whether it's printing packaging labels with colourful logos and pictures or tickets and ID cards with important barcodes and product information, this printer ensures you can print it all from one machine. It also helps you conform with GHS international chemical labelling guidelines, as labels can be printed on-demand without using pre-printed templates. Thanks to the individual pigment ink cartridges of the Epson C3500 label printer , you can create fast-drying, highly detailed labels that are smudge, water and fade resistant. 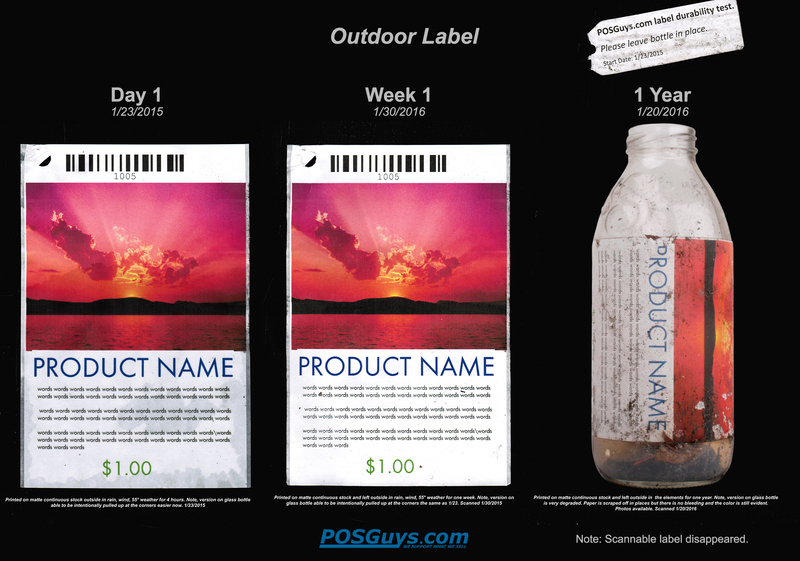 Not only will your labels look great, but the pigment ink's long-lasting, durable qualities make it perfect for a wide variety of environments. With the Epson C3500 Colour Label Printer you can easily print on a wide selection of materials, including matte and glossy coated paper and filmic labels. 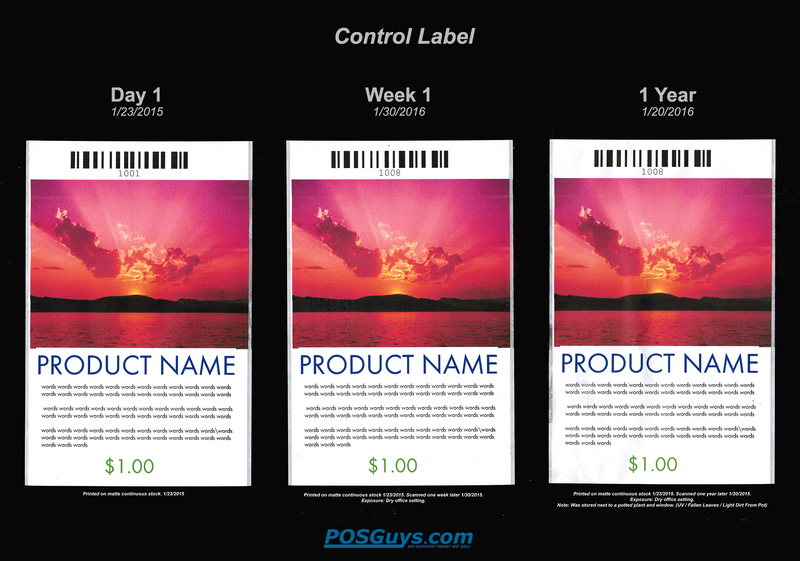 This means you can create exactly the type of labels you need. The LCD screen displays ink levels and printer status information, while front operation and easy setup software means you can operate the printer without specialist training. Thanks to individual pigment ink cartridges, the TM-C3500 label printer is ideal for cutting printing costs with its low cost-per-label, as you only need to replace the colour used. In this ultimate Epson TM-C3500 printing quality test we performed five tests; control, submerged, splashed, frozen, and outdoors. Our first scan of the labels was at 1 hour, the second at one week, the third at 1 year. Before showing the images of our results here is a quick summary. When labels are printed on media designed specifically for the Epson TM-C3500 the ink does not bleed or smudge. UV light exposure after 1 year causes some light fading. 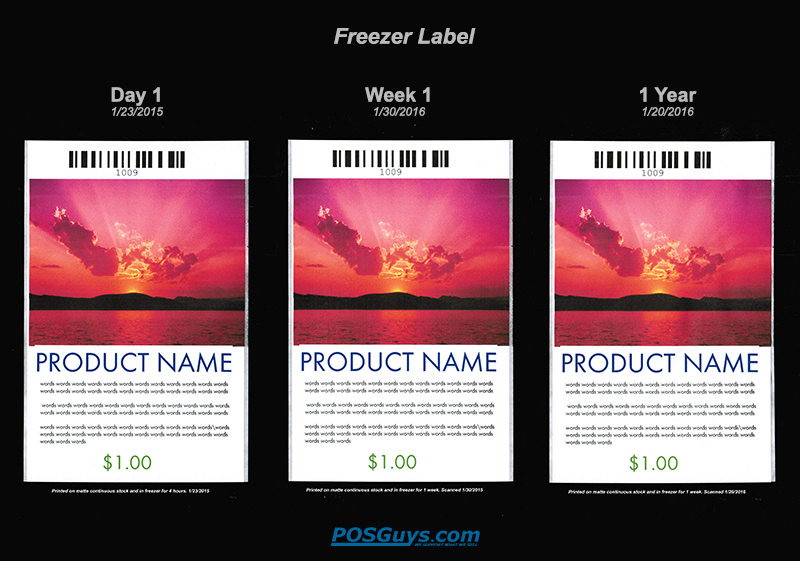 The label that maintained its original quality the best after one year's time was the label in the freezer due to very low UV exposure. 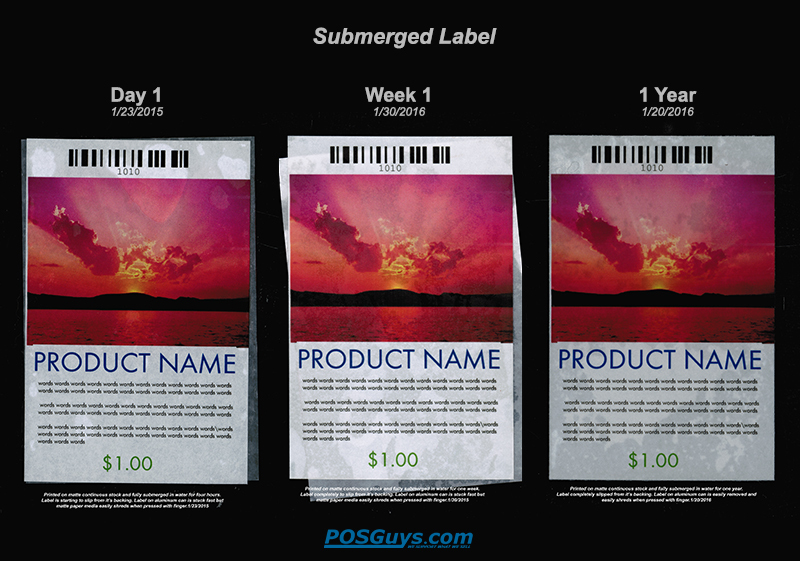 Paper labels scrape off with a fingernail when submerged for long periods but do not bleed. 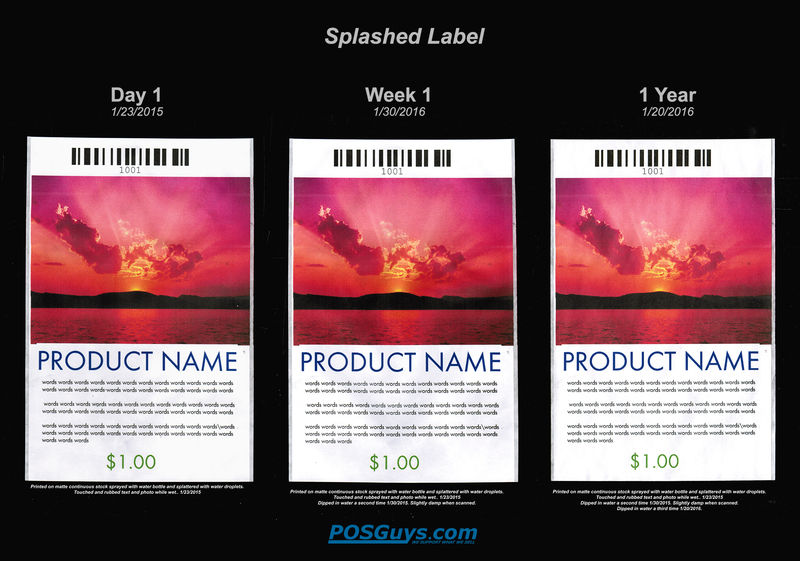 Periodically splashed labels maintain excellent quality. In all cases media that suits the application should be chosen. This was supposed to be the control but it was exposed to more sunlight than the other labels and after one year was slightly faded. We did have one label stored in the dark between books and it was perfect after one year but we don’t have a before/after shot for that label. The one below is the label that was exposed to an open/blind-covered window for a year. We submerged a printed label in a plastic tote. Here are the results. We splashed and dipped a label in the water of the plastic tote. We also sprayed it with a spray bottle. Here are the results. This label was stored in the POSGuys.com break room freezer. Make sure to get freezer adhesive. 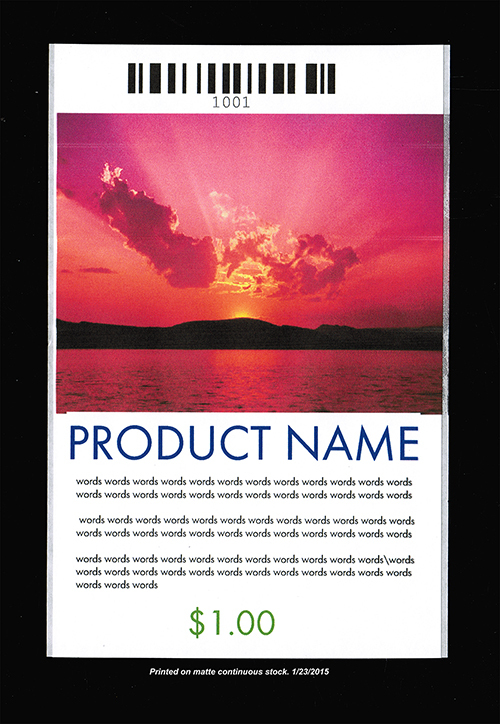 The printing was not affected but our general adhesive was not as tacky as you would need for food labeling processes. For example when I first stuck a label on an already frozen box it was ready to peel off with little effort. It did better when you stuck the label on a room temperature product and then placed it in the freezer. 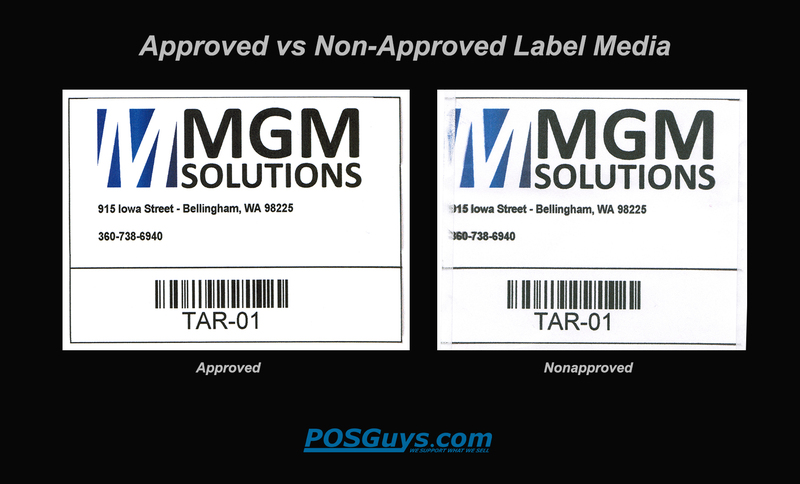 The lack of UV light exposure resulted in the best color steadfastness of all of the test labels. Results below. We stored the bottle behind our offices where cars drive by every day. We are based out of Bellingham, WA so there is a fair amount of rain with a period of low precipitation for about three months June - August. 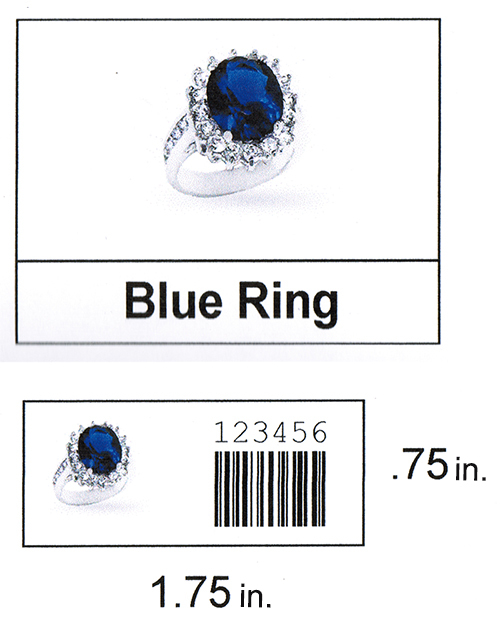 Unfortunately the label we were scanning for this test was lost a few weeks before the year was up. We have a photo of the bottle we used to test the adhesive strength but unfortunately no high resolution scan. The label was heavily worn but there was minimal color fading where paper media was intact. We also did some testing of the TM-C3500 on non-approved generic media. (Who doesn’t want to save a buck?) We learned that the media does make a big different. Quality was inferior on the non-approved labels with lighter blacks, softer edges, and less saturated color. See the results below. 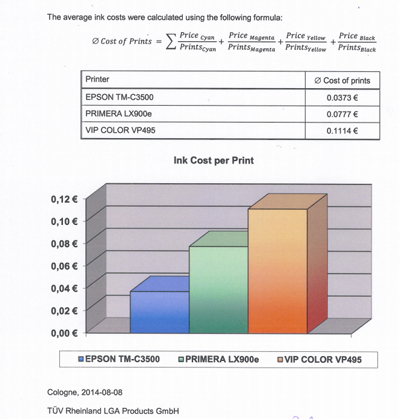 How does the TM-C3500 ink cost compare to other printers on the market? A study by TUV Rheinland compared the ink costs of the TM-C3500, Primera LX900e, and VIP Color VP495 and found that per print it was lower. Check out the test details here. The TM-C3500 printer is 360dpi x 360dpi for Speed Mode and 720 dpi x 360 dpi for Quality Mode. Note that all of the images you see in this post were printed on Quality Mode. The Epson TM-C3500 is an excellent label printer that is well suited for operations that need a print on demand label or who print small batches of custom labels as new products come out. (pharmacy, food, freezer, chemical labeling and more) The quality of printing is fair as it is a high resolution printer but it does not print ultra-realistic photographic images. We printed photos to show you what that looks like, it is not offset label quality but it IS high quality. The printer is priced fantastic for what it can do and the media has come down in price since the earlier Epson TM-C3400. If you are looking for extremely durable, affordable, fast, no bleed, color labeling this is the printer for you.